Home » Mutual Funds » Should we invest in six different mutual fund schemes? 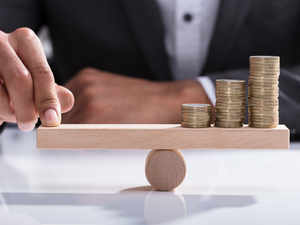 While your goals and risk appetite may be same, selecting six different funds, three for your wife and three for you would surely help create a more diversified portfolio for your combined investments. You should also make sure that the funds selected are also diversified across market capitalisations. I would recommend that out of the six mutual funds you are going to select, two can be large cap funds, one large and mid-cap fund, one multi-cap fund, one mid-cap fund and one small-cap fund. Investing in six consistently well performing funds can help you to achieve decent returns in the long term and help your goals. You should keep monitoring the performance of your selected funds at regular intervals and should exit funds which have failed to deliver good returns compared to other funds in the category and reinvest in the better performing funds. Government workers still don’t have a salary due to the shutdown. American businesses are helping them out.